Wedding season is quickly approaching, so if you’ve got engaged recently or know someone who has, here are 10 great things about getting married at Gilbert White’s…. Our 16th Century barn has become a very popular wedding venue over the past few years, with it’s amazing views and relaxed atmosphere. The barn it’s self is incredibly versatile with beautiful 16th century beams. We also have great toilet facilities, a kitchen and lobby for you to use. 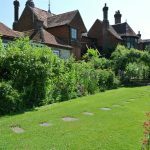 The barn is accessible directly from our car park and leads onto 25 acres of garden and parkland, in a secluded spot nestled under Selborne Hanger. 2) We have lots of Caterers! We have five nominated caterers that can supply anything from cream teas to tapas! All our caters range in menu and price, so you can easily find the one that is perfect for you! Erm… have you seen how pretty this place is? With 25 acres of grounds, and a mix of wild meadow and formal gardens, there is no end to the different possibilities of gorgeous wedding photos! Why not invite your photographer up before the big day and get some ideas! 4) Your Day, Your Style! We love to be flexible so that you get the day you want. Our barn is a blank canvas meaning that you can decorate in way that is personal to you. You can pick everything out from the flowers to the furniture! 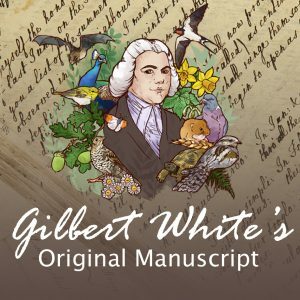 5) Get Married in Gilbert White’s House! Want a small wedding with a touch of heritage? You can married in Gilbert White’s Great Parlour overlooking his gardens. Why not make the most of your surroundings? From outdoor ceremonies to great receptions in marquees and tepee’s there is endless opportunities in our meadow. We have an annual Wedding Fayre where our suppliers come and show you what they can do. With everything from transport, to hair. Food to flowers all under one marquee it’s the perfect place to get ideas whether you’re planning to get married in Selborne or not. Part of our barn package is a great outdoor area, where you can create a fantastic space for you and your guests, with marquees, outdoor bars, out door furniture, fire pits, fairy lights and games all available to hire from us! You can have a classic champagne reception on our lawn, a very special way to toast your marriage. We know how pricey weddings are, and have done our best to help, by having packages that are flexible to your needs and budget.